Due to the high prevalence of PD-L1 staining above 1% TPS, and the number of targeted therapies available across multiple genetic alterations, ~80% of NSCLC patients were found to have Level 1 or 2 biomarkers. These overexpressed markers are direct targets for therapies commercially available or in clinical trials. While KRAS, EGFR and ALK alterations are most frequent, MET, BRAF, RET and ERBB2 alterations were also found, as well as other variants in genotype directed clinical trials. Comprehensive genomic profiling is recommended to assay the full spectrum of treatment options.  Click the chart for an in-depth look at OmniSeq Advance℠ Retrospective Results by Status for NSCLC. †Based on OmniSeq® Internal data. Recent Trials Highlight Need for the Comprehensive Picture. While the recently published Keynote 189 study demonstrated that patients benefited from Pembrolizumab plus Pemetrexed regardless of PD-L1 status, there is clearly a relationship between PD-L1 and progression free survival. The need to test for both PD-L1 and TMB is evident given that the Hazard Ratio of the TMB High, PD-L1 <1% patients in the experimental arm of Checkmate 227 is potentially lower than patients with PD-L1 <1% enrolled into the experimental arm of Keynote 189. OmniSeq frequently updates its proprietary knowledge informatics database to keep you abreast of the latest publications and clinical evidence.